F1 world champion Lewis Hamilton has warned his rivals he is "ready to attack" after returning to action ahead of the new season. Hamilton drove Mercedes' new car, the W10, for the first time on Wednesday during a shakedown run of the new Silver Arrows at Silverstone. "2018 was a great year, but I feel like 2019 can be even better," he said. "I want to achieve more, I want to continue to keep pushing. I feel energised and I'm ready to attack." 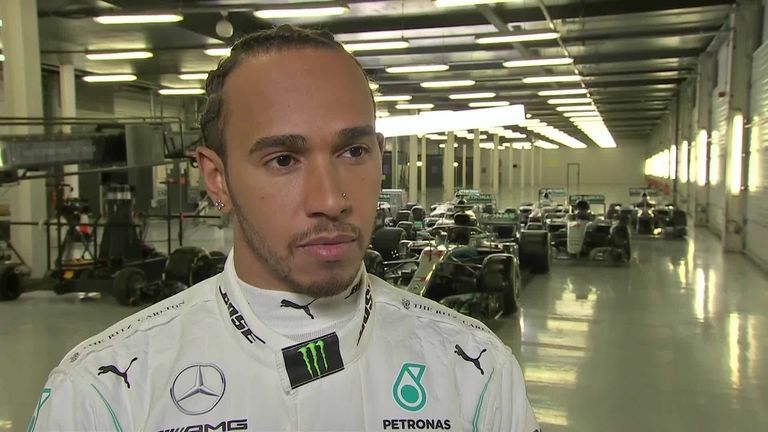 Lewis Hamilton talks to Sky Sports' Craig Slater about his approach for the new F1 season after his first drive of the 2019 Mercedes. In an exclusive interview with Sky Sports, Hamilton said: "There's a great, great energy in the team. We are hyped and ready to go. "Everyone wants to take the crown. So every year you have to re-invent yourself and every year you have to change the dynamics of how you train and prepare mentally. This year, l am fighting for a championship and not defending - and that's how l set my mind every year." And on his first meeting with the W10, Hamilton said: "It is literally like meeting someone new and trying to get to know them as quickly as possible." Hamilton's first outing in the W10 was evidently a success. Immediately after his drive, Hamilton posted on social media: "Really cool. I love driving so much. You might be stuck with me for a while." And he later added: "The talent and sheer skill put into this unbelievable car never ceases to amaze me." Hamilton has triumphed in four of the last five seasons. But any concern the world champion may have lost some of his hunger for further success was emphatically repelled on his first appearance after an extended winter holiday. "I need to keep building and evolving," said Hamilton. "If l am not moving forward l feel like l am not breathing. "I still have the drive and energy to elevate." Hamilton added: "I'm the second-oldest driver here now but l still feel young." The 34-year-old enjoyed an extended break through Christmas and January, revealing he shut himself off from both social media and racing. "My winter was a bit different from what l have done in the past," Hamilton said. "I had a great Christmas with my family and then I went snowmobiling, I went skiing, I went surfing with Kelly Slater, which was amazing. "I completely switched off racing and tried to take a break from social media. The team were really great to give me a month to enjoy that period." Mercedes have won five successive championship doubles but, in the wake of substantial regulation changes, Silver Arrows boss Toto Wolff has warned "every team can have a shot at the title" in 2019. Wolff told Sky Sports: "It's a super challenge we have against some great teams. I hope we have done a good enough job. "We are taking every team seriously. With the shake-up in regulations, you can't predict. It might be the same as last year, with three teams running away and fighting it out between them, or some team which is not on the radar but has found a loophole. Let's see." And on the challenge his star driver faces in his quest to land a sixth world championship, Wolff continued: "He's already hard to beat. He's the best of his generation. The exciting challenge this year will be to see where Sebastian Vettel is. He has something to prove and he will be eager. And then there is the next generation coming up and it will be really interesting to see how they perform." 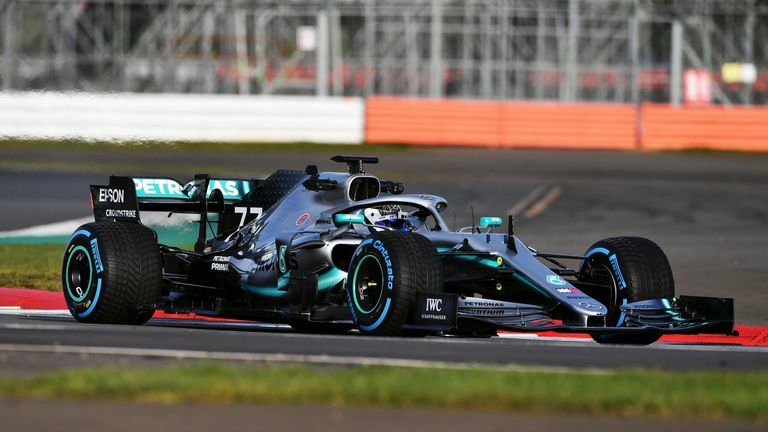 Sky Sports catches a first glimpse of the 2019 F1 Mercedes car on its debut shakedown run at Silverstone. Get the dedicated Sky Sports F1 channel - the exclusive home of all live F1 next season - for £18 a month in HD with no contract. Get Sky Sports F1.